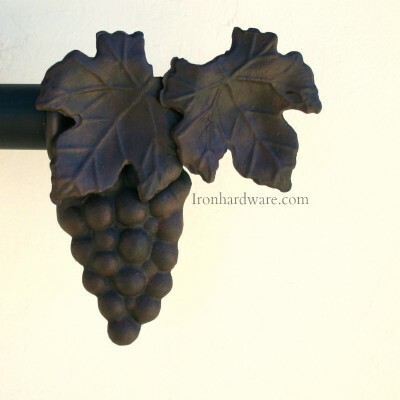 Wrought Iron Finials 1 1/4"
These beautiful wrought iron finials are hand forged by skilled artisans right here in our Paso Robles California blacksmith shop and design studio. 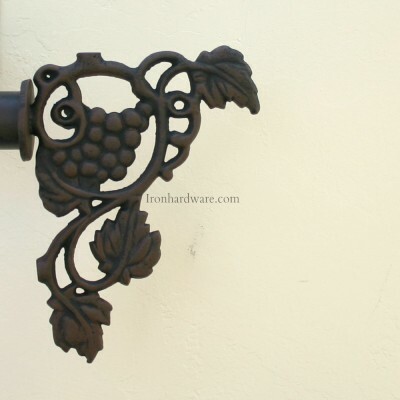 We pay close attention to balance and detail, making each piece a work of art for your home. We like to think our mounts and finials are jewelry for your walls. 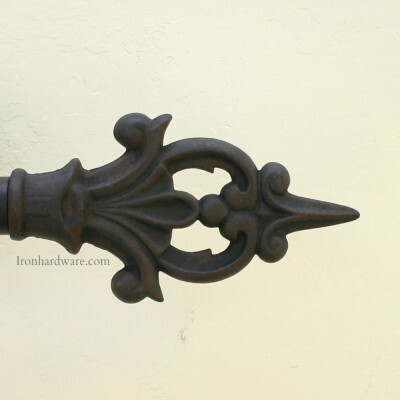 Our solid cast iron finials are finely finished with closeup detail that you will not find elsewhere. 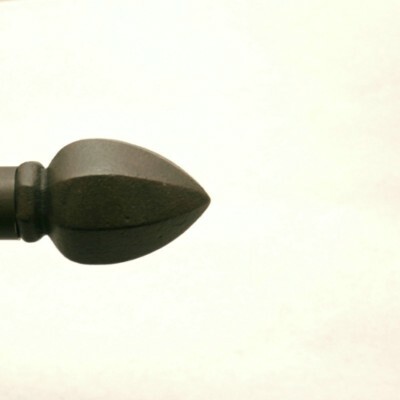 All of the finials below are designed to be used exclusively with our 1.25" curtain rods and hardware. 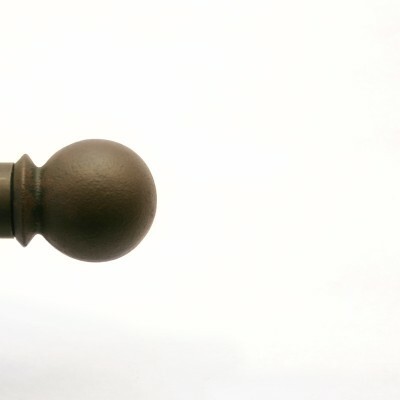 Please use the quick quote button next to the finial of your choice to price and purchase our curtain rod packages including everything you need. 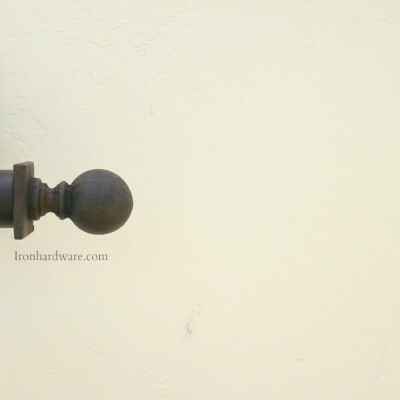 Our decorative hand forged round end cap gives you a clean finished look in tight spaces. 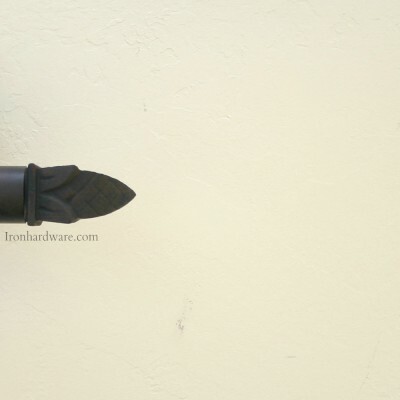 This end cap is also great for minimal, transitional, arts and crafts, or contemporary applications. Measures 1.5" x 1.5" x 1/4". 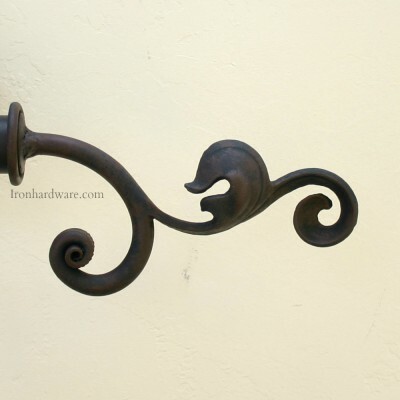 Fits our 1 1/4" wrought iron curtain rods. 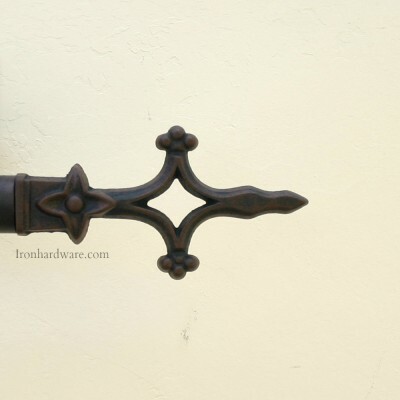 This beautiful classic cast iron ball finial with square base plate would have originally been forged in early europe by hammering a large red hot bar end into a pair of hand held forging molds each shaped like a half circle. Measures 2 1/2" long X 1 1/2" high. 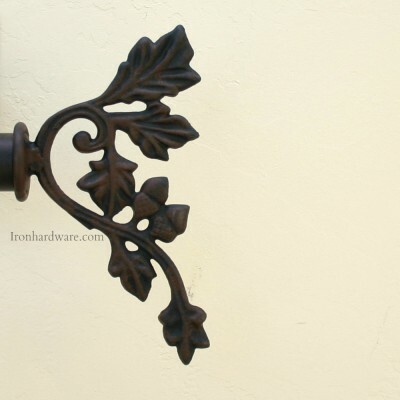 Fits our 1 1/4" wrought iron curtain rods. 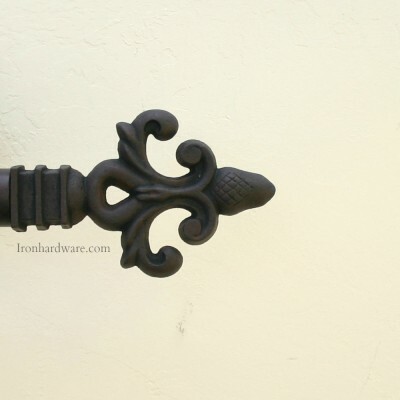 This beautiful classic lemon shaped cast iron finial with round ring base works well with traditional or contemporary design. Measures 3" long, 1 1/2" high. 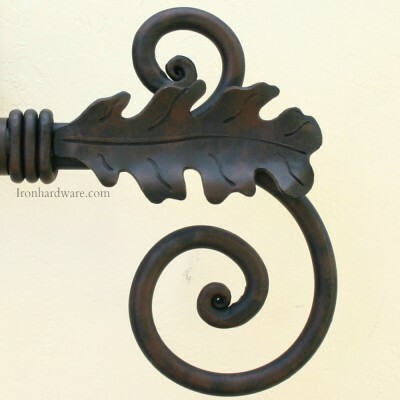 Fits our 1 1/4" wrought iron curtain rods. Elegant larger lemon drop shape with eight facets. 3.25" long 2.25" diameter fits our 1 1/4" rods. 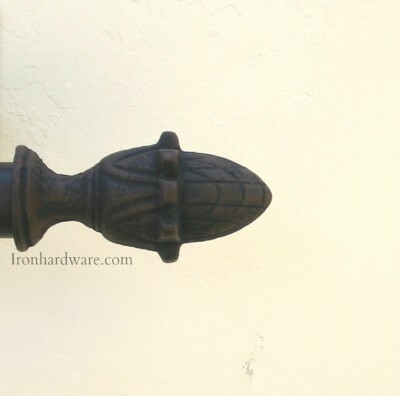 Elegant cast iron ball finial with decorative base. 2" diameter, 2.5" length. 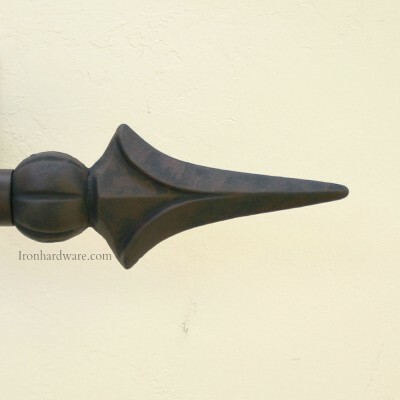 This beautiful cast iron finial fits our 1 1/4" wrought iron curtain rods. Measures 4" X 1 1/2". 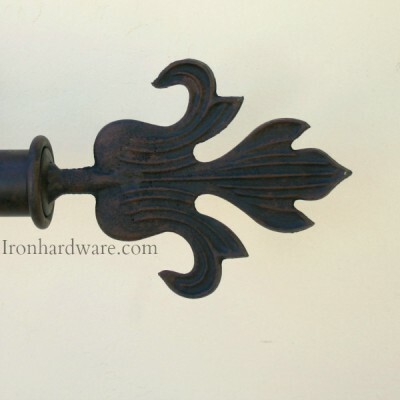 These large round pineapple finials give your curtain rods a very classic look. Solid Cast Iron. 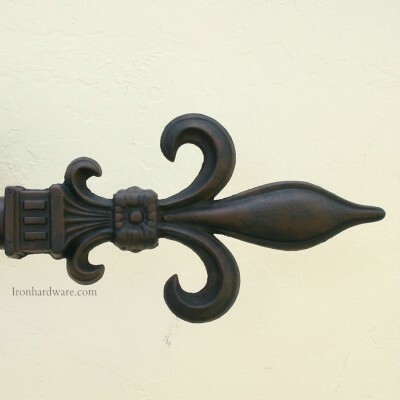 4.25" x 2.25"
This beautiful cast iron Camelot finial shape was originally hand forged by skilled blacksmiths by heating a bar end red hot and splitting off the two side spurs with a hammer and chisel, then curling them back to make the two wings. Measures 7" x 3 1/2". 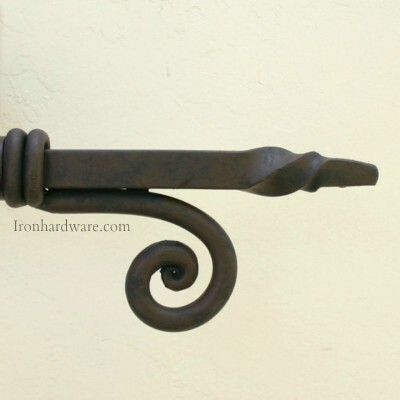 Fits our 1 1/4" wrought iron curtain rods. Measures 5 1/2" X 6 1/2". 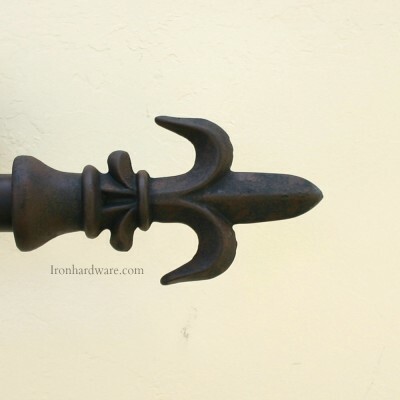 This weighty and beautiful Emperess cast iron finial would originally have been painstakingly forged by hand with hammer and chisel, each detail hand struck by a skilled blacksmith who held the chisels and other embossing tools, while an apprentice would swing a very large hammer. A pair of these beauties could have easily taken an entire days work to produce in the iron age. Measures 8" long, 4" high. 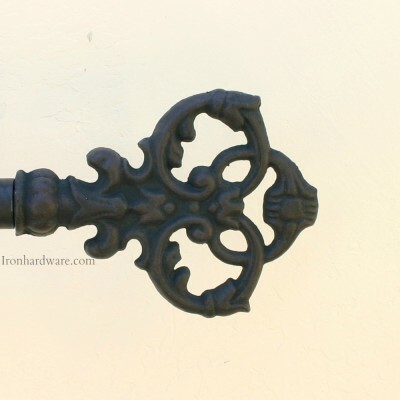 Fits our 1 1/4" wrought iron curtain rods. 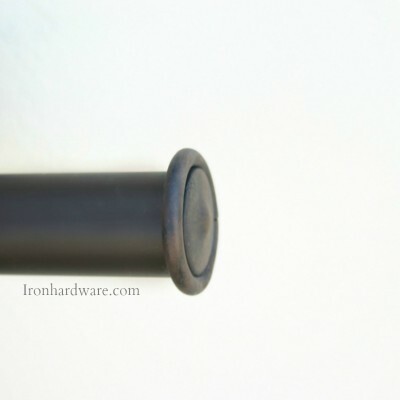 Fits our 1 1/4" wrought iron curtain rods. 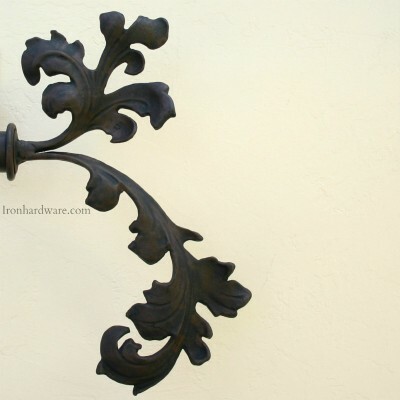 Measures 6 1/2" x 3"
Beautiful classic forged scroll and leaf design. 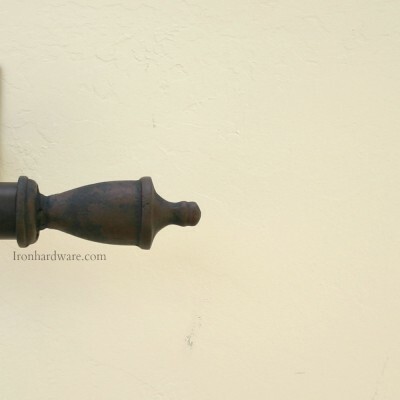 Fits our 1 1/4" wrought iron curtain rods. 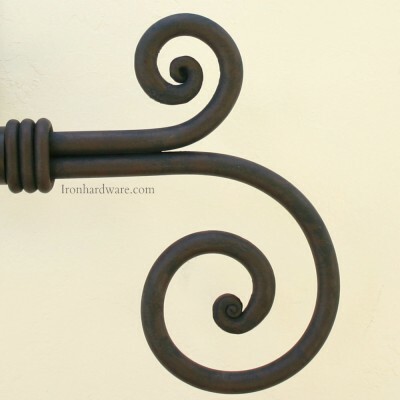 This beautiful and classic serpent shape is hand forged from a solid iron bar. Measures 6" long x 8" high. Fits our 1 1/4" wrought iron curtain rods. 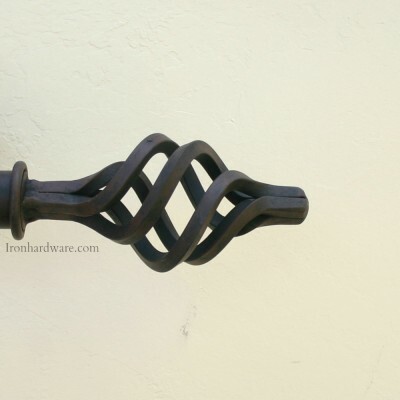 This classic design requires the very finest blacksmithing skills. 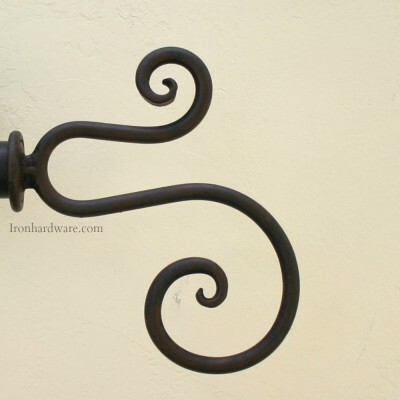 It is completely hand forged using a 3/4" solid bar which is tapered and twisted, joined with 1/2" solid iron scroll, and hand banded red hot with solid 3/8" round bar. Fits our 1 1/4" wrought iron curtain rods. Measures 7" X 8". 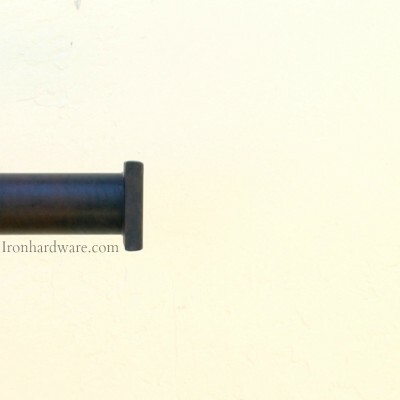 Fits 1 1/4" wrought iron curtain rods. 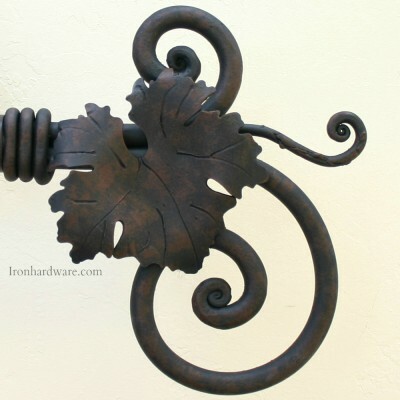 This beautiful dramatic flowing leaf design is hand cast from solid iron. Measures 9" long X 12" high.